Bold, chic, and just the right amount of pop. The Scope Lounge Chair captures the eye with its visually stunning design. 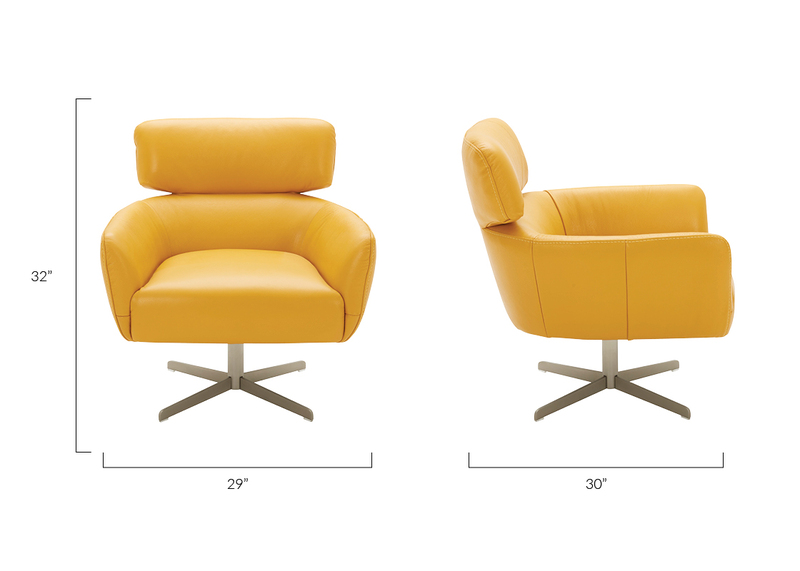 Available in yellow, turquoise blue, white or light grey, the lounge chair doubles as an office and accent chair to add interest to your living area. Sleek leather wraps around a generously cushioned seat and a curved design hug your body for cozy lounging. A modern take on a retro favorite, the Scope Lounge Chair is a game changer.